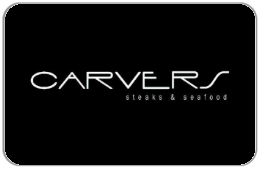 Carvers Steaks and Seafood serves the best prime rib in town, along with hand cut steaks, and a variety of seafood options! Winner of the 2011 "Summit Award" for Best Restaurant in Sandy, Utah and OpenTable "Dining Award" we strive for exceptional food and service. From intimate dining to family and business functions we cater to make your dining experience a memorable one. Come in your jeans or Opera attire, everyone fits in at Carvers. For balance inquiries call the phone number to a Carvers Steaks & Seafood's location below.